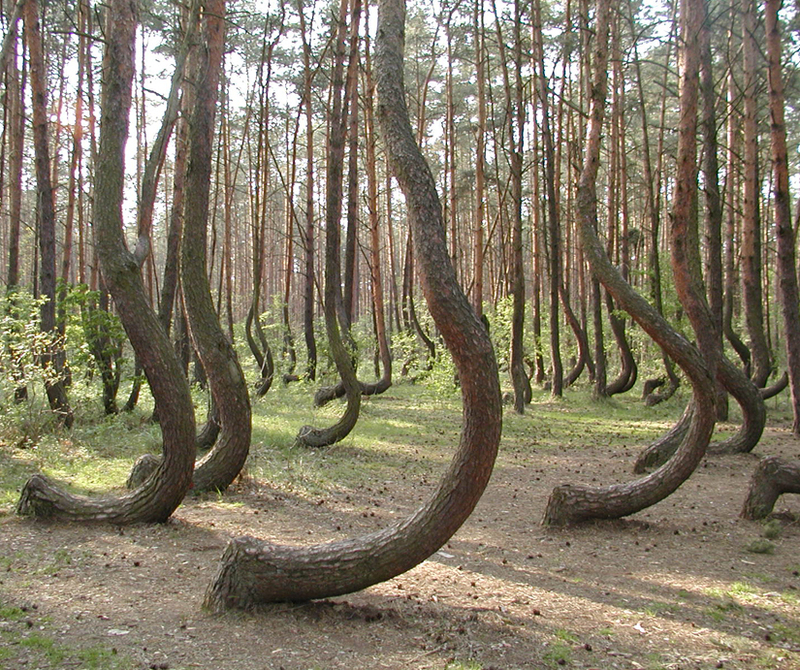 A forest of about 400 pine trees in Western Poland all grow with a 90 degree northward bend at the base of their trunks. The patch, within a a larger forest of straight growing pine trees, was planted in approximately 1930, and it is assumed that their peculiar growth habit is due to some mechanical intervention, though the reason behind it is unknown. A commenter on the original post (at discoverynews) said he was taught to do this by his grandfather, with the intent of making saplings grow ready-shaped for canes. So perhaps this was a cane forest interrupted by World War II. 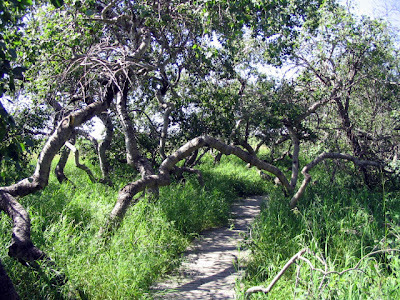 The twisted trees of Saskatchewan Canada are more mysterious. The grove of deformed aspens is on private land, and though the Friends of the Crooked Bush speculate that the trees could be due to meteorites or even UFO's, a more likely explanation seems a rare genetic mutation such as that causing contortion in the Henry Lauder's Walking Stick (Corylus avellana 'Contorta'). When vegetatively propagated and grown at locations in Manitoba, the Saskatchewan aspens retain their crookedness. They grew more closely attached through the years, bending together with age. In 1930, their picture appeared in the syndicated "Believe It or Not" column of Robert Ripley, and again in the book "Nature Woodland Wonders" in 1945. 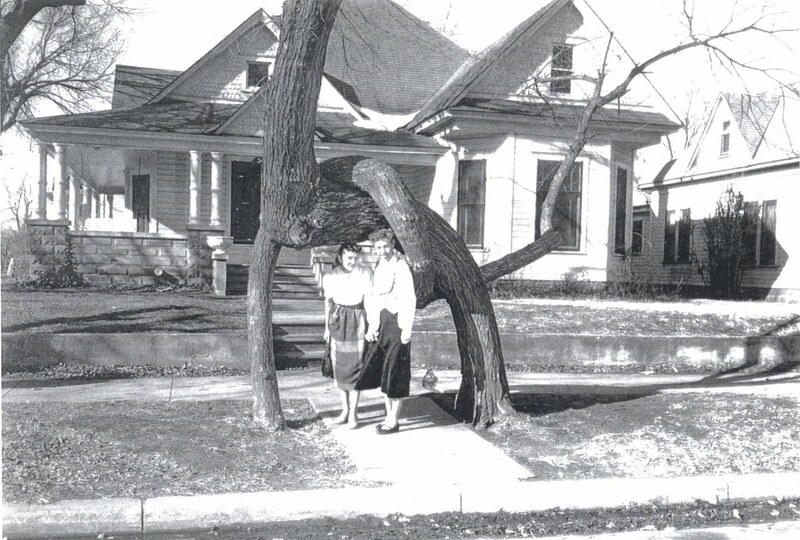 The Oklahoma state highway commission included them in its booklet, "New Thrills Ahead." at about the same time; they were by that time just a few feet away from State Highway 270 and a regular stop for travelers. I can't find any information on when they went at last; but I'm sure they went together. Congratulations Arcady, a very interesting post. Glad your up and running again. Intriguing. I'm also pleased to see you are back posting. I was reading 'The Arcadian Friends' whilst at Holkham Hall today, so am thinking a lot about landscape garden design at the moment. I have been following your blog for a few months now drawn by your blog name. I too am a garden history girl although my blog has a different slant to yours and a diffent name, of course. I simply wished to say I am pleased to see you posting again. I will read I am also hosting a giveaway which might be of interest to you. I would be delighted if you popped over to my blog and, perhaps, entered the giveaway. hello. I just found your blog and... ok. I'm a landscape planner and gardener from Poland, interested in garden history, so maybe you would find something interesting for you in my blog! 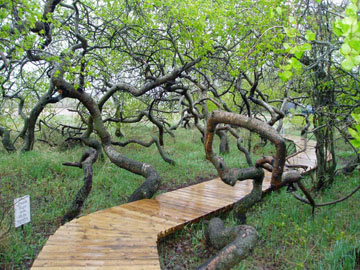 (tag "parki i ogrody"). I have seen trees like these, strange and mysterious, in Sweden- in most cases their weird growing comes after burning or being buried by snow in the early years of life. Greetings, Megi. Sweden, gardenhistorian and author of Gardens of Italy. such a great post... i can always count on something very unique when i visit your blog! Ha! I just saw that first pic of the bent trees the other day and was wondering what the story was behind them..great post! 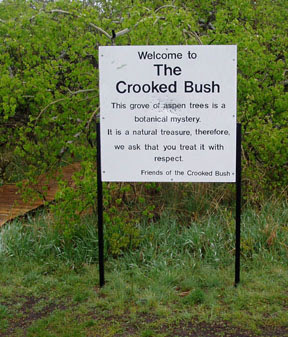 Would you mind if I posted the picture of the bent-over trees on my webpage? I would attribute it to you and attach a link to your blog page. I want to post pictures of crooked objects and your trees are ideal. My blog is www.Ann1Field@wordpress.com.